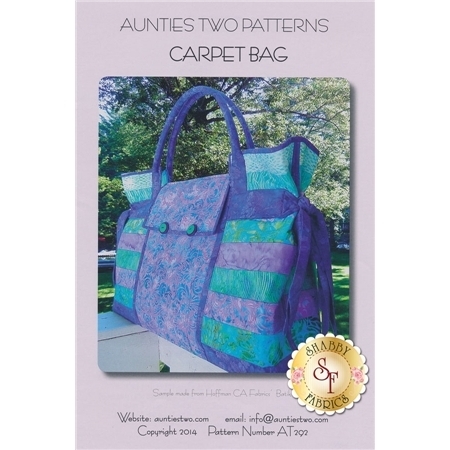 Make this fun Carpet Bag by Aunties Two Patterns! 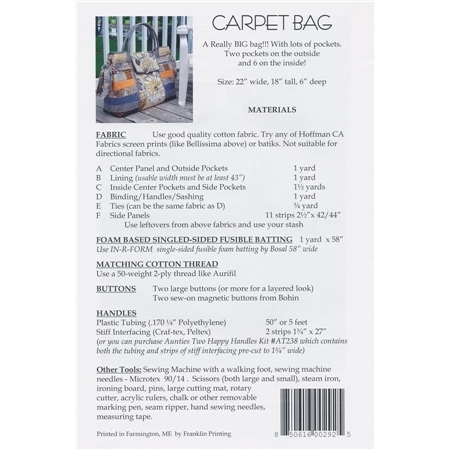 This bag has lots of pockets. Two pockets on the outside and 6 on the inside! Finished size measures at 22" wide, 18" tall, 6" deep.